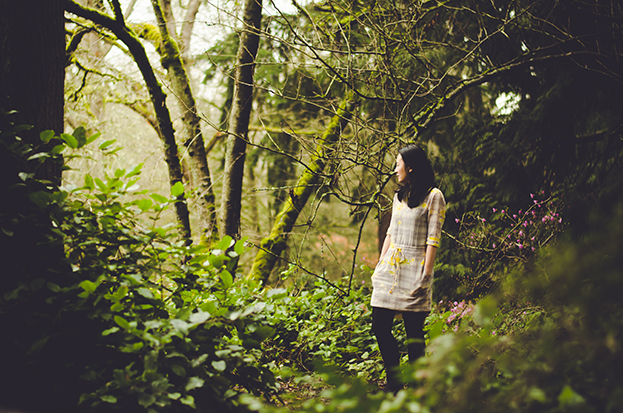 Tell Me About That Track: Brenda Xu's "Lovely Storm"
Singer/songwriter Brenda Xu talks about a single from her latest album, Overflow. Her album release show, where she'll play with a full band and string quartet, is tonight at the Fremont Abbey, with support from Tomo Nakayama and Shenandoah Davis. Name of Track: "Lovely Storm"
Brenda Xu - Lovely Storm  from Echo Prospect on Vimeo. In three sentences or more, tell us the story of your path to music: My path to becoming a full time musician two years ago has been a journey of overcoming self-doubt and realizing that creating music is what I wanted to do with my life. I started playing the guitar and learning cover songs in high school. But it wasn't until some years of working soulless jobs after college that I started writing songs and playing open mics. Since then, I've released three albums, and the current one will be my fourth. It's taken me a while to find my voice and a style that I feel is original, and I think I found it on my last album For The Winter and further developed it on this one, Overflow. What's the story of this song? This song is about being in an uncomfortable situation and feeling like the walls are closing in on you. The theme that runs throughout the songs on the album is one of feeling overwhelmed with the ups and downs of daily life. In the album, this track is a climax point, where emotions overflow and there is a yearning for release, which happens in the next few tracks. What's next? I'll be hitting the road on several tours this year, including my first European tour from April-May, an Alaskan tour this summer and an east coast tour in the fall. I'm also working to get more of my music in TV, film and other visual platforms. I feel like this is the year to really get my music out there. I'm at a point where I truly believe in what I'm putting forth and feel like I have something different to offer.